Marshall Headphones Major III Bluetooth is the next chapter in the revolutionary history of Marshall. This modern go-to classic has been re-engineered for a cleaner more refined design, while the silhouette stays true to its original form. Major III Bluetooth offers you the freedom and convenience of wireless Bluetooth aptX technology and 30+ hours of playtime on a single charge. Sticking to the basics, the major III is covered in time tested durable vinyl covering and proudly stamped with the iconic script Logo, all giving a firm nod to the legacy of Marshall. Slimmed down ergonomic 3D hinges add a more streamlined look, while thicker loop wires with reinforced rubber dampers contribute to a solid build quality unsurpassed by others. 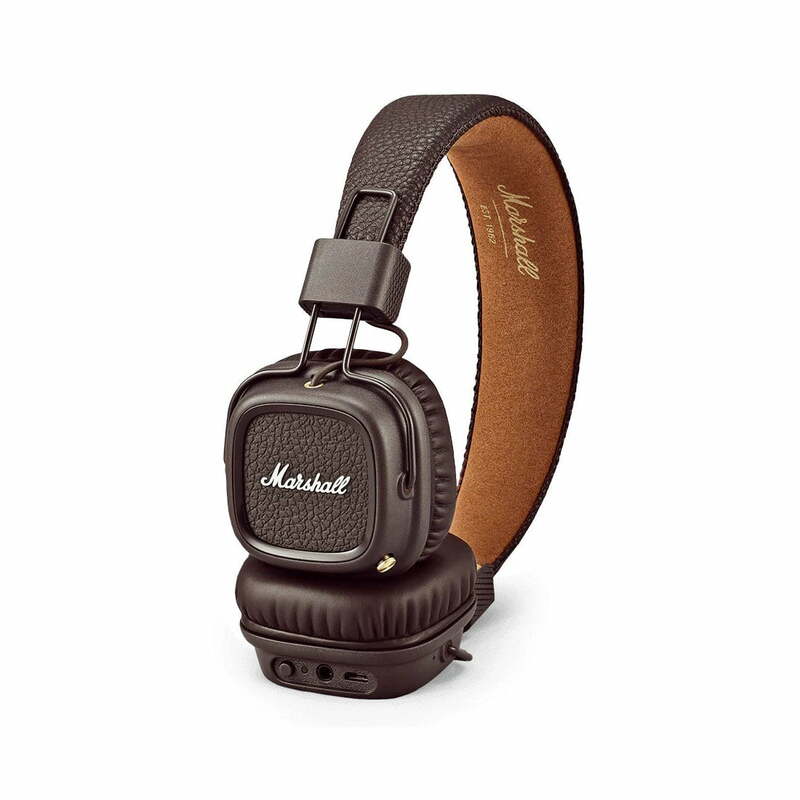 This combined with its rebuilt on-ear cushions and plush straight fit headband provide hours of comfortable listening. Major III turns up the performance with custom tuned 40 mm drivers for enhanced bass response, smooth mids and crystal clear highs that will immediately remind you why this headphone is an Icon in the making. Major III Bluetooth features custom-tuned 40 mm drivers that produce an enhanced listening experience. Major III Bluetooth is the ultimate travelling companion, able to withstand long days on the road.